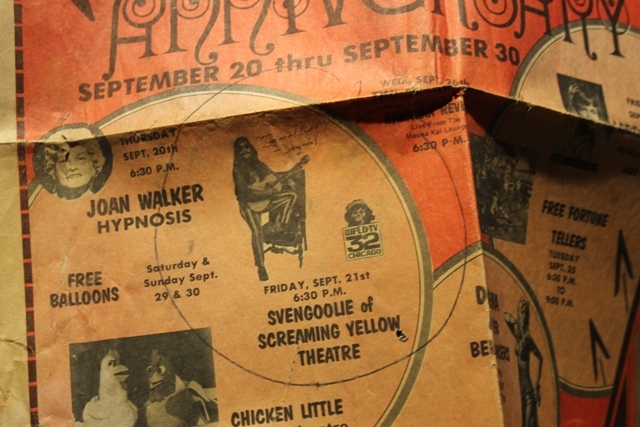 Hidden Jerry G. Bishop Svengoolie Treasures Unearthed at G-FEST! 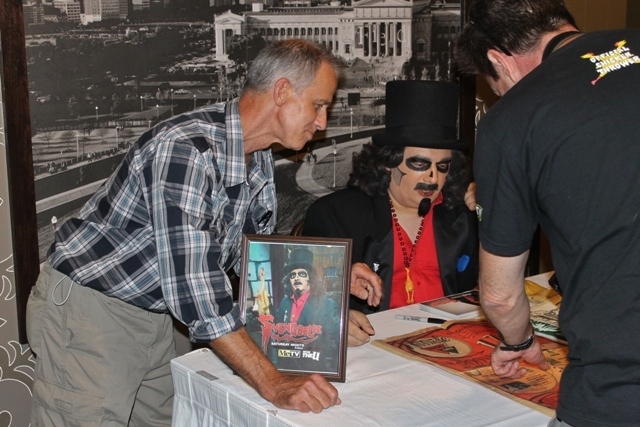 One of the most surprising moments at Svengoolie’s recent appearance at G-FEST was when a long-time Svengoolie fan named Tony Kapsis shared some vintage items from one of Jerry G. Bishop’s public appearances in the early 1970’s. The original Svengoolie had appeared at a local store and young Tony was there to meet his idol. He not only kept some special “Svengoolie banners” (NOTE TO RICH KOZ: I want you to start selling one of your own!) but also the newspaper page that announced the event! The moment was sealed with Sven hitting him with a rubber chicken! As the current and most prolific Svengoolie, Rich Koz, was both a fan and friend of his predecessor, you could tell he really enjoyed seeing these lost artifacts! Anyone else out there that may have any hidden Horror Host treasures of your own and would like to share, please drop us a line! This entry was posted in Horror Hosts, Stalking Svengoolie! 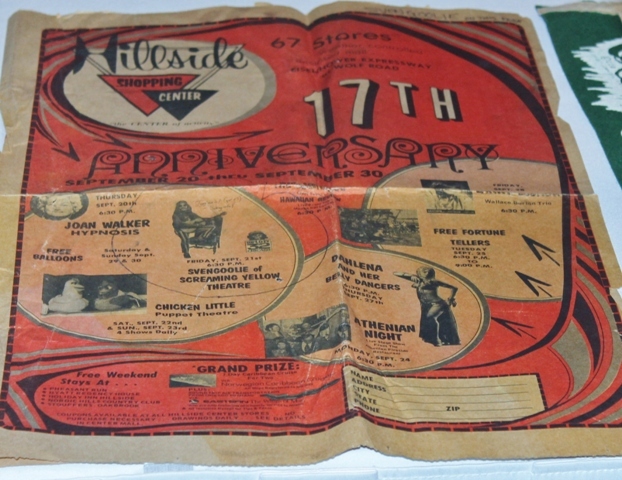 and tagged G-Fest, Hillside Shopping Center, Jerry G. Bishop, Screaming Yellow Theatre, Svengoolie, SVENGOOLIE (Jerry G. Bishop). Bookmark the permalink. ← Pictures from 2012 CHICAGO WIZARD CON!